As most of you already know, if you registered your newly purchased copy of Ocarina of Time 3DS today at Club Nintendo, you were eligible to receive a free soundtrack for the game. 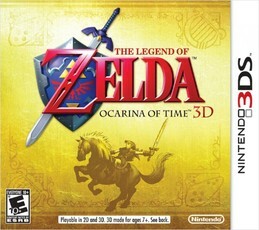 Due to strong demand and technical issues, Nintendo has now extended the offer to midnight tomorrow. Once you have your copy of the game, make sure to check inside the case for its registration code. Then go to Club Nintendo, sign in or register for an account, and type in your code. After completing a survey about the game, you will be automatically redirected to an order form for the CD. Follow the instructions and you should be good to go. It isn’t clear if this also means Nintendo will be printing more CDs than they originally planned, but its still a safe bet to register sooner than later.